Any self-respecting Mexican Christmas celebration will include more food and drinks than you know what to do with — along with an almost uncomfortable feeling of fullness for approximately an entire week. As in many countries around the world, family and food are the two most important aspects of the celebration, so here’s your guide to the food and drinks popular around navidad in Mexico. In the run up to the festive period when the nights are drawing in and the temperatures are dropping in most parts of the country, it’s not uncommon to indulge in a warming champurrado or atole of an evening. Atole is an Aztec-in-origin, corn-based drink that can be found in various different flavors, whereas a champurrado is typically a thicker beverage, made with corn dough plus water or milk, chocolate and a hint of vanilla. As with an atole, this drink can also be adapted flavor-wise. Both atole and champurrado are typically consumed with the ever-present tamal or the crispy, sugary and cinnamon flavored snacks, buñuelos. 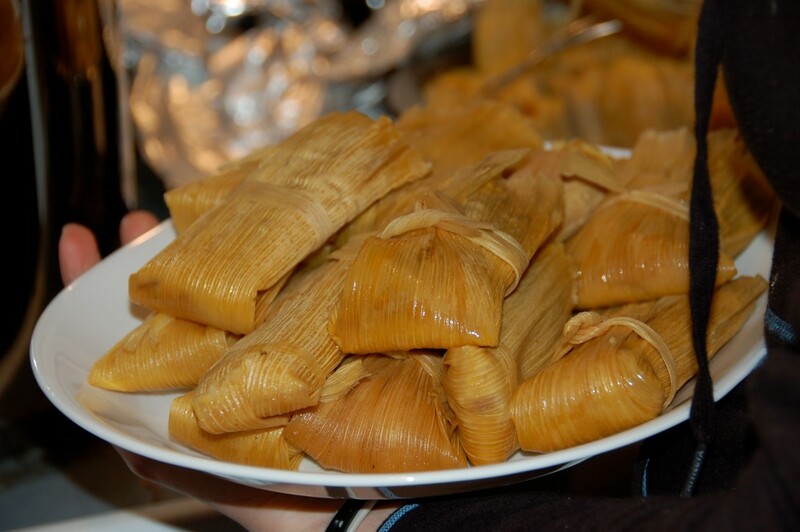 Speaking of which, tamales are a festive food favorite in Mexico, and you might even find yourself growing bored of them by the end of the Christmas period given the large quantities that some families prepare them in and their seeming constant presence at traditional posadas. Other drinks of the festive season include the deliciously creamy rompope creation, which is akin to an alcoholic eggnog, and the warming, fruity flavors of ponche. This concoction includes several ingredients such as apple, guava, lime, tamarind, sultanas and the crucial component, sugar cane. Often served with cinnamon for extra flavor, you can get alcohol-free versions or those that have an extra kick of warmth in the form of piquete, or rather, a splash of alcohol. When it comes to Christmas eating, though, the date to mark in your calendar is Christmas Eve, the traditional time when Mexican families gather to indulge in their largest meal of the period. As in many other countries, turkey (known as pavo or guajolote) is often the centerpiece of the meal, accompanied by that classic standby of Mexican cuisine, mole. However, it’s not uncommon for families to serve a sugary joint of pineapple-topped ham or even the traditionally festive bacalao. Bacalao is essentially salted codfish and is typically served in a stew, although other methods of preparation exist. Alternative Christmas Eve dishes include pozole, a pork and corn based stew served with fresh onion and radish, although this tends to be more heavily associated with Independence Day. Accompanying the main dish at the Mexican Christmas dinner are several side dishes that are often slightly more regional in popularity. One such example is romerito, which was once a favorite at Mexican dinner tables, but has waned in popularity over recent years. 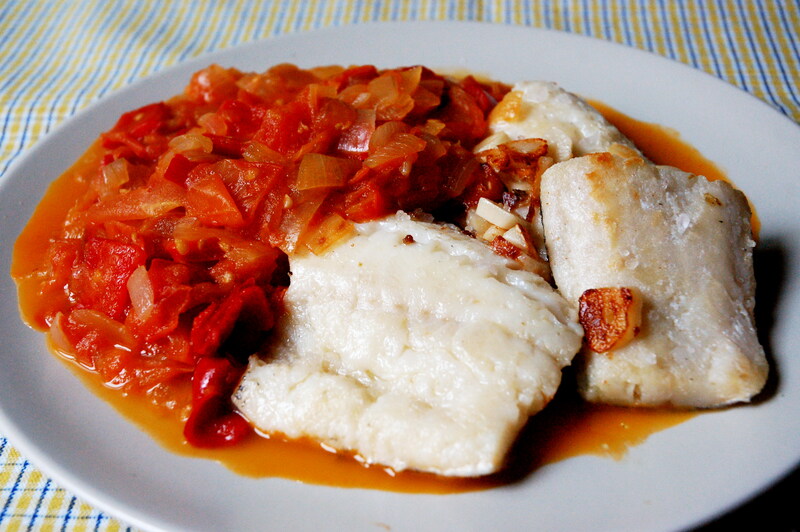 A kind of hash, the dish consists of a leafy vegetable, alongside potatoes and prawns in a mole sauce. Alternatively, you might see an ensalada de nochebuena on the table. While ingredients vary across the country depending on availability, this salad typically includes lettuce, beetroot, jicama, nuts and fruits, before being topped with pomegranate seeds. Christmas Day is a time to relax, lounge around and enjoy time with family. While the main meal may have been and gone (or, based on the amount of dishes served up, perhaps it hasn’t gone just yet! ), there are still plenty of treats to be had. One of the best parts of a Mexican Christmas celebration is the recalentado, or leftovers! This can be in the form of a turkey mole, or even just the tamales that have been accumulating in the fridge throughout the festive period; either way, it’s delicious. Even after Christmas has officially come and gone, Mexicans don’t stop with the seasonal treats. 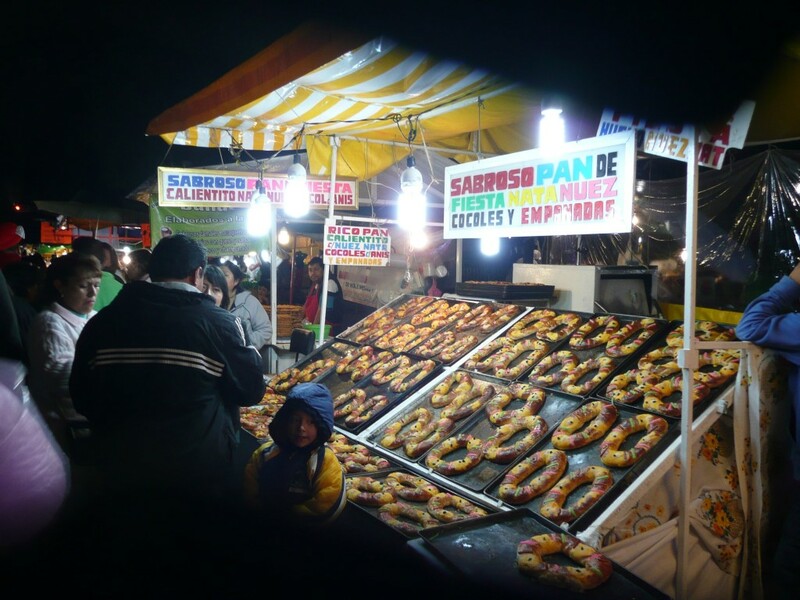 With the arrival of King’s Day (Día de Reyes), on January 6th, comes the rosca de reyes. This is an oval shaped sweet bread, topped with jellied sweets and usually eaten accompanied by a mug of hot chocolate. Within each loaf are tiny baby Jesus figurines, which are to be avoided at all costs – if you’re slice has a Jesus couched within, you have to buy everyone present tamales when Candlemas comes around in February!